*NOTE to poet(s) not knowing HTML code I am restricted by the format of this blog template and or the limits of Text/Edit from word.doc to Mac? and the poem will not publish in the original format. It is a five stanza poem and the breaks occur after -out. -Way. -human. – eternal. Hence the hyphens for space and breath. 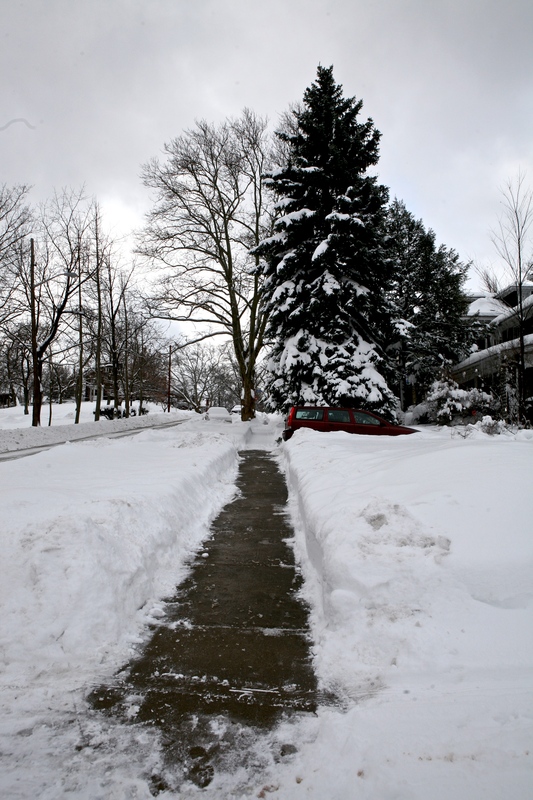 Reblogging Timons’ poem in this season of snow and ice to acknowledge the ongoing obligation to shovel the walks so the path is clear and safe. This is just the beginning of the season. Winter starts in earnest on Saturday December 21 at 12:11 P.M. I recognize your street. Did you do all that shoveling? Impressive Ruth! I have to say I am always more worried about a lawsuit that becomes “gratuitous pain” but I did enjoy the poem. Merry Christmas to you and yours ! Those quilts are the wordpress generated avatars when commenters don’t have one. At least they used to be. Not sure now but will check. This blog was first posted in Feb 2010 when we had a massive storm. Hi! Yes I know they are generic avatars! I was kidding because they were all quilts but mine : ) I hope for no massive storms this year! This is great Ruthie! Thank you for making me laugh at this crap-tastic weather.